A while back, we announced WaveForms Live, our new browser based software suite to complement the launch of the OpenScope MZ! This launch has sparked a lot of questions about WaveForms 2015 and the difference between the two sets of software. On the whole, they have a lot of similarities. Both WaveForms 2015 and WaveForms Live are free to use, and come with support on the Digilent Forum. 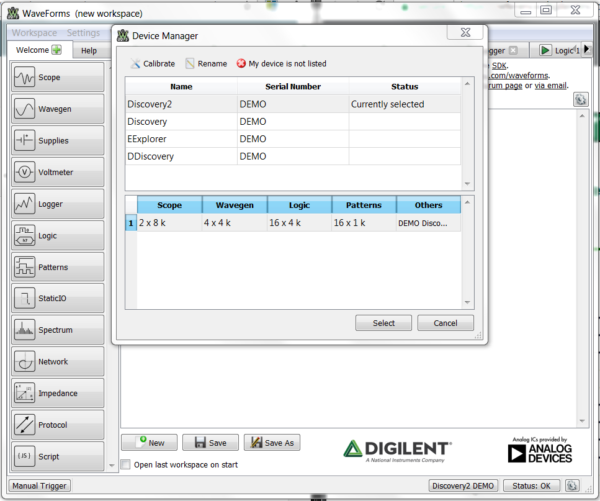 Both software downloads work with Digilent Instrumentation and enables a whole set of benchtop tools. Each software suite also comes with a similar set of documentation; Getting Started Guides, Tool tutorials and more! However that’s about where the similarities end. WaveForms Live is designed specifically with the OpenScope MZ in mind, and gives access to it’s Oscilloscope, WaveForm Generator, Digital I/O, Power Supply, FFT plot, and Bode plot. WaveForms 2015 is compatible with the Analog Discovery 2, Digital Discovery, and Electronics Explorer board. Down below we’ll go a little bit more into the tools available. While both WaveForms 2015 and WaveForms Live will work on a Windows, Mac or Linux machine their interfaces are each implemented differently. Waveforms Live: WaveForms Live is a browser or mobile application based software. This means that you can open a Chrome, Safari, or Firefox browser and go to WaveFormsLive.com to check it out. WaveForms Live is also available on a mobile device and has applications for both iOS and Android! 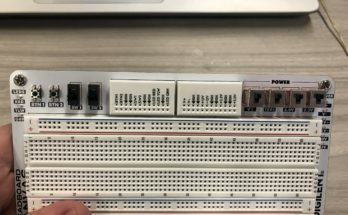 WaveForms Live connects instrumentation to the IoT. 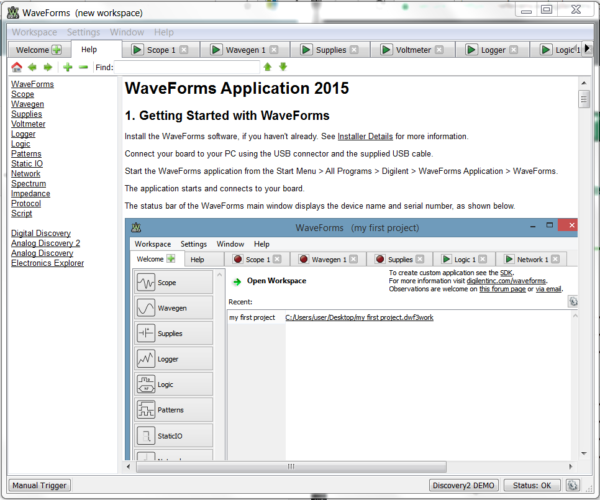 WaveForms 2015 is a desktop application. It a 4.5 star rating on our store and is our most popular piece of software ever developed! After one approximately 60 second download and install, you can get WaveForms 2015 up and running on a Mac, Windows or Linux computer. Since each software interface is designed with specific hardware in mind each software each interface has a slightly different set of tools, depending on what the hardware is designed for. 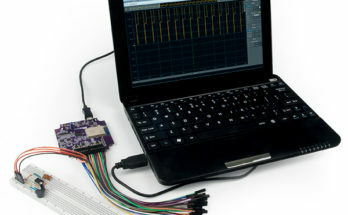 WaveForm Live, being designed for the OpenScope MZ, give access to an Oscilloscope, WaveForm Generator, Digital I/O, Power Supply, FFT, and Bode plot. 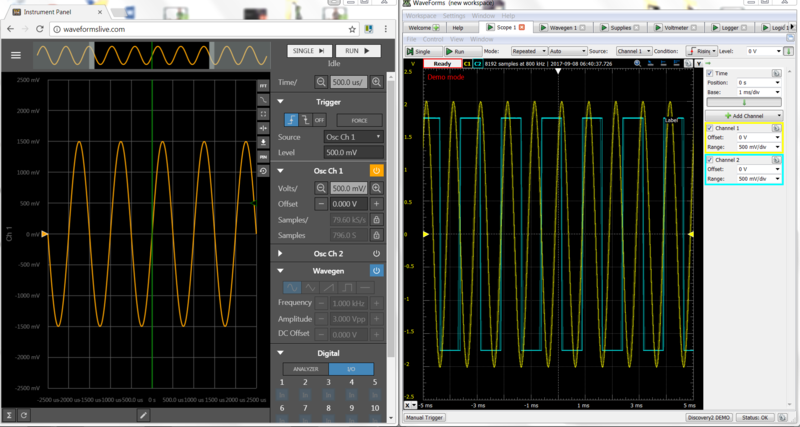 However, since the OpenScope MZ and WaveForms Live are both open source (spoiler alert for later in the post!) you can change the tools to fit your need and hardware capabilities! WaveForms 2015 has the tools needed for the Digital Discovery, Electronics Explorer Board, and Analog Discovery 2, so it’s got a bunch of tools. 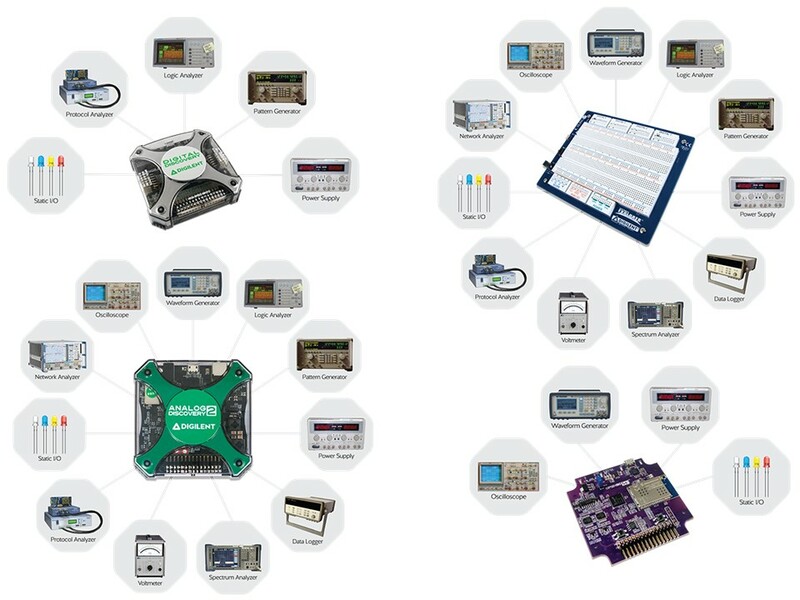 It comes complete with an Oscilloscope, Waveform Generator, Power Supply, Voltmeter, Data Logger, Logic Analyzer, Pattern Generator, Static I/O, Spectrum Analyzer, Network Analyzer, Impedance Analyzer, and Protocol Analyzer. Another spoiler alert here: It also comes with a script editor for writing custom tests, combining the tools or writing custom analyzers and a Software Development Kit, to write custom applications. With all those tools it really brings a mobile benchtop of equipment to your computer. If that was too many lists to digest, here’s a quick visual for which device works with which tool. Open the image up in a new tab to zoom in to each of the individual diagrams. Open this image in a new tab to see what tools each Instrumentation device provides. Another big difference is the differences in the interfaces. They both have similarities in the basic functionalities and options for the tools, but one being designed for mobile or web and one since one is designed one for for desktop they have some key differences. They both have the ability to change the x and y axis on all the tools, add measurements and cursors and export data. However, the options for WaveForms Live’s tools such as the Oscilloscope, Waveform Generator, power supply and digital I/O are all on the front panel. They also are accessible via buttons, instead of drop downs. All resulting in a much simpler interface, truly optimized for mobile and web. As the name indicated, WaveForms 2015 has been around for a while, and since we are regularly pushing updates to it based on customer feedback, it’s got a whole lot of features! In order to avoid a cluttered interface all 12 tools have their own tab which can be accessed on the main page. Once you open each of the tools you’ll see gears and arrows where you can open additional menus, and even the view menu that allows you to open different plot and tools within tools. If you prefer separate windows instead of tabs you can pop out the tab into a window. 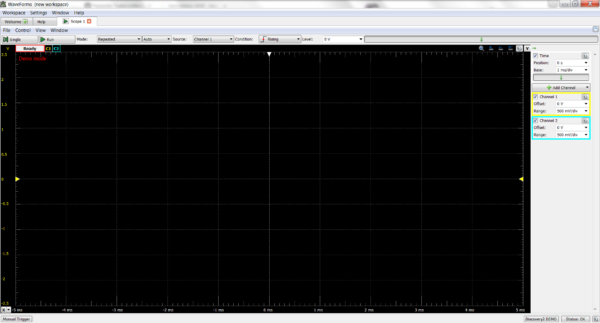 One of the super exciting features of WaveForms Live is that its open source! This means that if you’d like to add a feature of WaveForms Live, make a custom application, or add additional compatibility you can. You can find more information about this on the Wiki page, and all the source code on the Digilent Github. With WaveForms 2015 also comes an SDK. With SDK you can write custom applications. On the wiki page you’ll find more information about SDK as well as some applications created by users, and a Java SDK written by another user. Both WaveForms 2015 and WaveForms Live come with options to run the software with a simulated device. This means that you can try out both pieces of software before committing to the hardware. In WaveForms Live as soon as you go to the website you’ll see the option to add a device. When you open that menu there will be an option to add a simulated device. If you do that you can click around and try out the software as if you had a simulated OpenScope MZ. 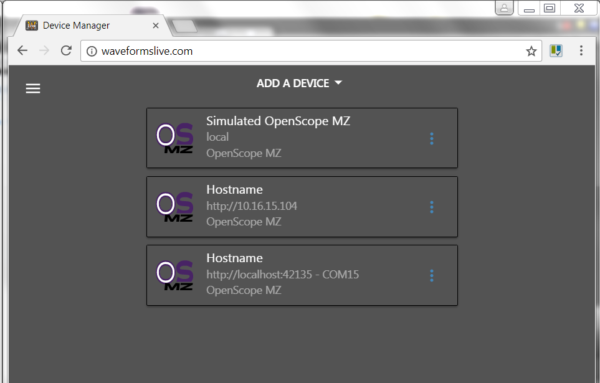 In WaveForms 2015 device manager you’ll see the option to open four different demo modes. One for the Analog Discovery 2, the Analog Discovery legacy, Electronics Explorer Board, and Digital Discovery. Each demo mode will change WaveForms 2015 so it only displays the tools that are active on that device, and will change the tools as needed. For example the EE Board Oscilloscope tool will have four oscilloscope channels as opposed to the two on the Analog Discovery. WaveForms 2015 and WaveForms Live also both have built in documentation to get you up and running on with the tools. In WaveForms Live this is implemented as tutorial mode. When you first open the window on the bottom right there will be a button called tutorial. Click on this button and tutorial mode will start taking you through adding the device and show you the features of the interface. In WaveForms 2015 the built in documentation is the help tab. When WaveForms 2015 is opened one of the tabs that automatically opens is the help tab. Here you’ll find information about all of the tools, options features and hardware that you can use with WaveForms 2015. Along with the built in documentation both WaveForms 2015 and WaveForms Live have Getting Started Guides for each of the compatible hardware devices, tool tutorials and more, all available on the wiki. If you are interested in finding out more about WaveForms 2015 go to it’s download page and try it out in demo mode. It only takes about 60 seconds to download and install. 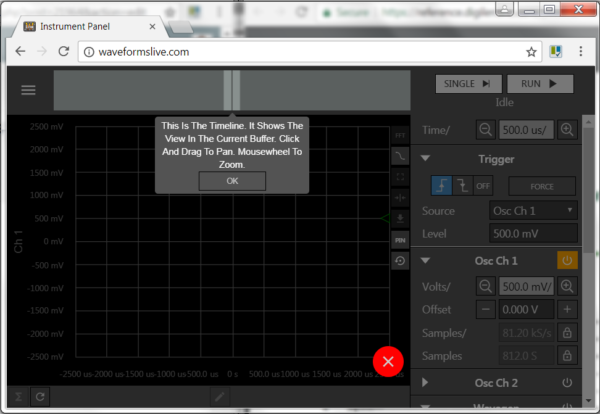 If you want to try out WaveForms Live go to WaveFormsLive.com – No installation necessary! And as always, if you have comments or questions feel free to comment below or post technical questions on the Digilent Forum. It would be very nice, If I am able to use the WaveForms Live Android application with my Analog Discovery 2. 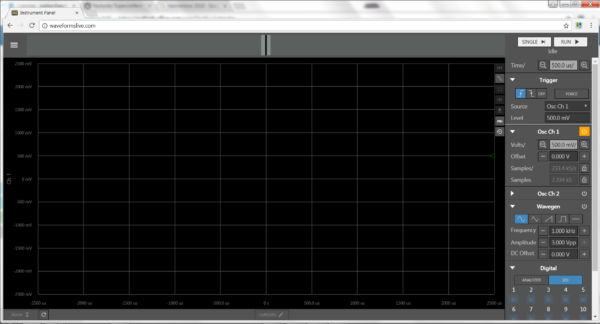 Why the WaveForms Live Android application only supports OpenScope MZ ?